When do you need a Quality Audit performed? AXSource can perform a Quality Audit for your organization at any time. Whether you’re in need of an independent self-inspection, an audit of a vendor/sub-contractor/third party,a data integrity audit, or a GMP/ GCP/ GLP/ GVP/ GPP audit, our certified experts can assist you with a single or multi-site Quality Audit. We have performed hundreds of audits in Canada, the United States, Europe and Asia for compliance to global requirements. Quality Audits are required to protect your company’s operations and business liability. When do you need Compliance Gap Analysis performed? 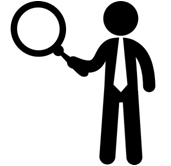 All companies can benefit from having a gap analysis performed prior to a regulatory inspection. While your QA department is very competent, an independent assessment is always a prudent exercise. Based on the situation, AxSource Consulting appoints highly experienced team members to lead, conduct and provide you with a report including complete scope of elements assessed, a quantitative compliance rating, details of any gaps, and support you during your Corrective Action and Preventative Actions (CAPA) process. This expert analysis is highly comprehensive and recommended to clients preparing for an upcoming regulatory inspection. Our clients have been 100% satisfied, and use this service to improve their quality management system and request repeat service every 2-3 years. Clients pre-inspected have passed regulatory inspections with glowing results. If your organization has received a non-compliant rating after a regulatory inspection, there’s no need to panic. AXSource provides remediation strategies and services. We act swiftly to offset any major financial setbacks. Our expert consultants will work with your management team to develop a strategy by leveraging agency relationships and working hands-on with company personnel to implement corrective actions to get you back on your feet again. If you’re a mature organization adding new products or services to your portfolio, undergoing mergers and acquisitions, or becoming a larger organization with more complex processes, AxSource Consulting’s Compliance Gap Analysis will provide you with expert strategies to ensure a smooth transition and ensure compliance. AXSource can bring a host of experts to obtain varying points of view. If you need to improve and benchmark your existing quality and regulatory framework, require an independent expert review, or are interested in ensuring compliance at a very low SG&A level, AXSource consultants will perform a full scope Compliance Gap Analysis and provide you with the necessary recommendations to meet your goals. Take advantage of our Compliance Gap Analysis and let us provide you with a comprehensive evaluation and list of measures for improvement, prior to a corporate audit. From our standpoint, we’d like to work with you to ensure the most positive impact on your financials from our review and implementation of our recommendations.